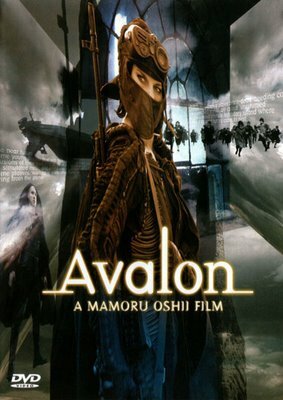 Sentient Developments: Two years ago on SentDev: "Review of Mamoru Oshii's Avalon"
Two years ago on SentDev: "Review of Mamoru Oshii's Avalon"
Two years I go wrote a review of Mamoru Oshii's sci-fi flick, Avalon. Avalon sounds like a cross between The Matrix and World of Warcraft. It also sounds like it suffers from the bane of most Japanese anime -- heavy doses of angsty portent and symbolism borrowed/recycled from other anime or films (Mononoke Hime is a prominent exception to this deadening trend; I wrote briefly about this topic here: The String Cuts Deeper Than the Blade).